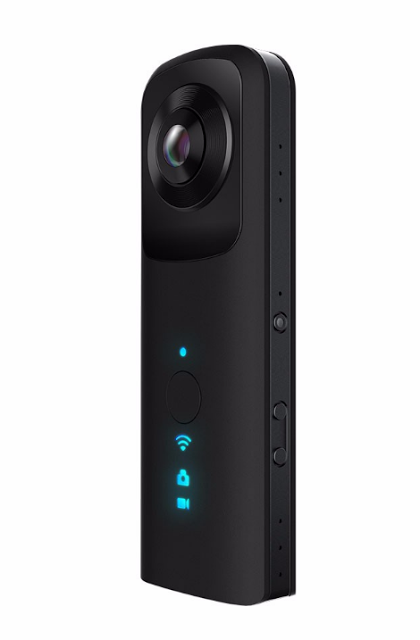 The Ricoh Theta (~$300 street; reviewed here) is the most popular 360 camera by a huge margin. It has an excellent, — arguably ideal — form factor. It is slim, thus minimizing parallax stitching errors, and its stick-like shape also serves as a natural, comfortable handle for the Theta. 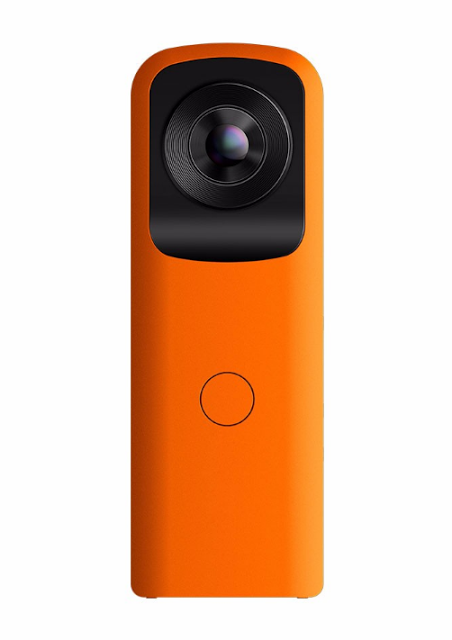 It’s no surprise that the Theta’s design is being copied by low-cost 360 cameras. Here’s one of those clones. This camera claims to have 8mp sensor. Actually it uses the OV4689, which is a 4-mp sensor. Therefore actually it is 4mp + 4mp, not 8mp +8mp. 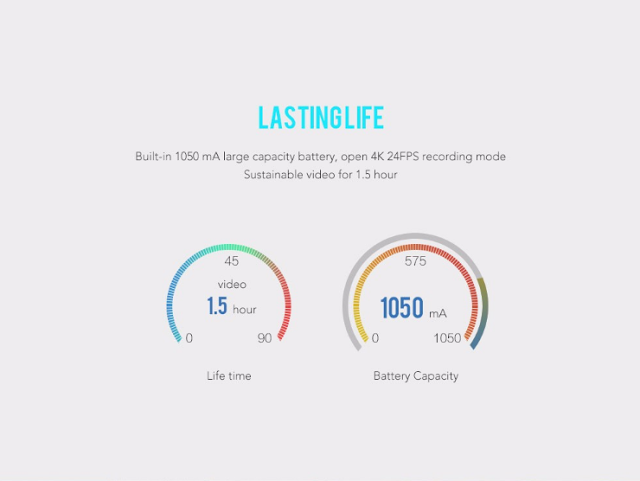 The manufacturer claims that it can also record at 4k 24fps although I highly doubt that. I also doubt the 1.5 hour recording time. I don’t know the retail price or availability, but the wholesale price is under $100. Win a 3D 4k live streaming 360 camera worth $1299 from Hubblo in this video editing contest!